Whale Sharks in Isla Mujeres, Mexico, is something that I've posted on twice in the past. A small island on the Riviera Maya, and once a sanctuary to Ixchel, the Mayan goddess of childbirth and medicine, Isla Mujeres is a top destination for visitors looking to find what few other places in the world can offer: Whale Sharks. 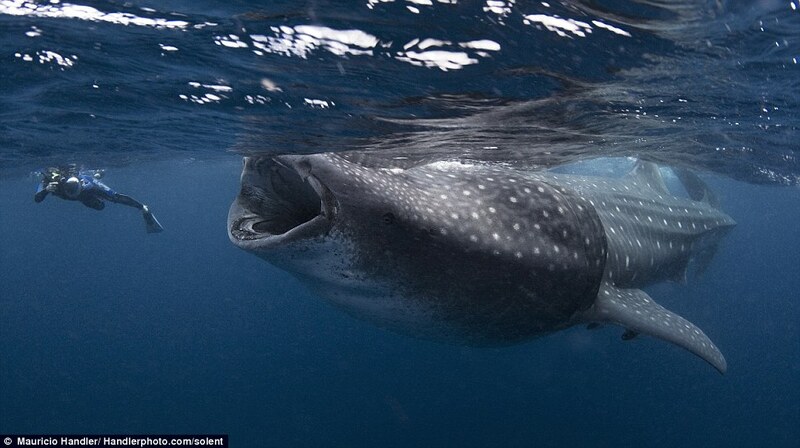 This picture shows how close one photographer got to this incredibly docile marine inhabitant, and even though the headline is surely an exaggeration (the diver is probably more to the right of the mouth of the Whale Shark than it looks from the photographer's angle), it's definitely worth a peak at a series of up-close pictures of this beautiful sea creature. Click here to see more.